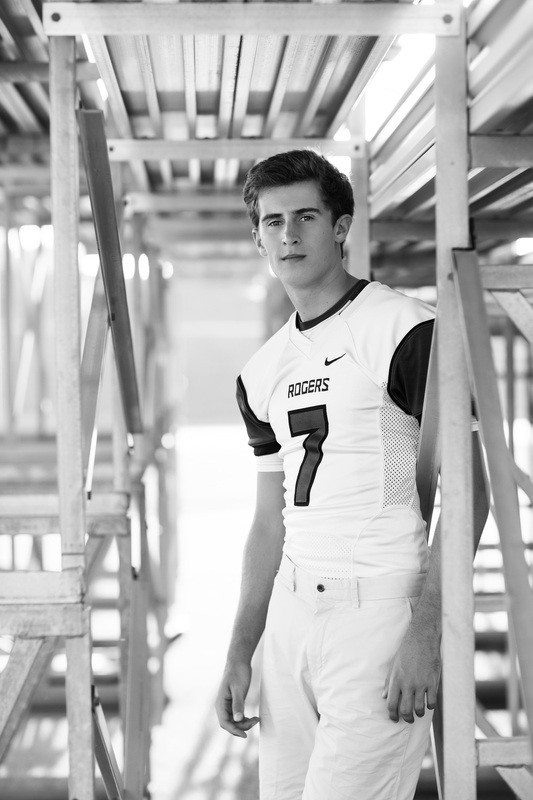 Cole is the quarter back for the Rogers High School football team and such a nice guy. Guys are typically not as excited about getting their photos done as senior girls, but Cole put on a smile and was great the whole session. 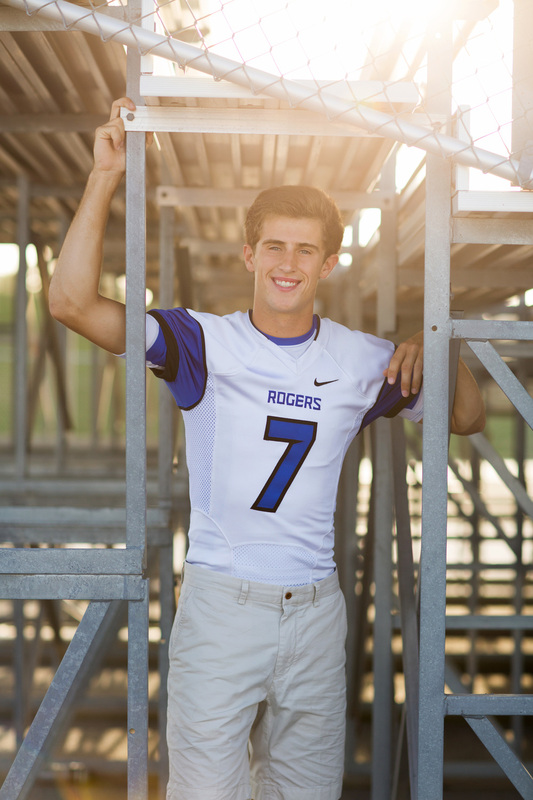 His mom wanted some football photos on the field, plus a few over at a local barn nearby. I think his session turned out great.